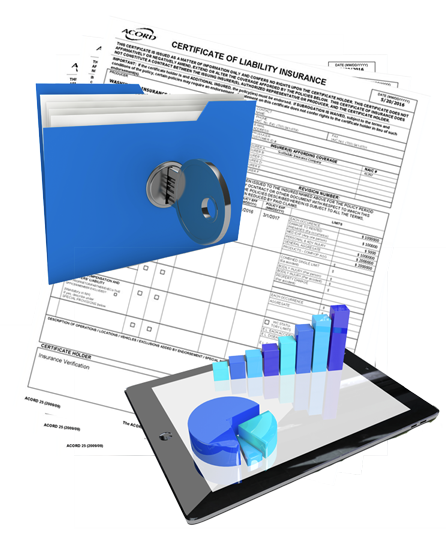 One of CTrax’s premier features is the capture process, which reads uploaded and scanned documents. CTrax accurately analyzes insurance compliance requirements by comparing with vendors certificate limits and identifies exceptions. The CTrax hierarchy structure indexes vendor insurance, contracts requirements, additional insured, waivers, and endorsements in a compact database for easy management. This permits companies to easily access multiple certificates of insurance according to vendor types, industries serviced, or types of coverage required. 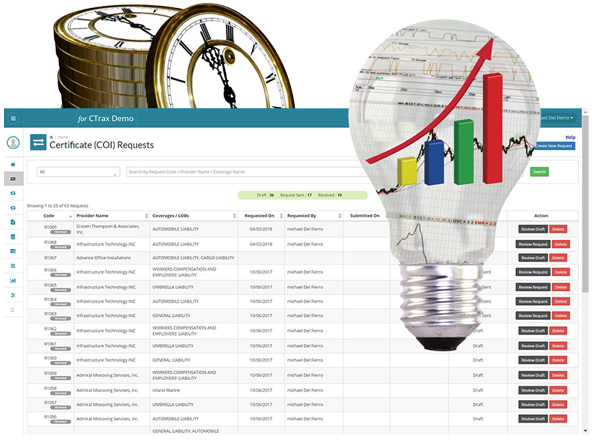 CTrax provides the ability to immediately find any information needed, while reducing hours of work into minutes.